It’s an eerie feeling when a dark cloud passes over you on an otherwise sunny day. The temperature drops, your skin trembles, and it feels like you’ve vanished into some extra-dimensional bubble, forgotten by the real world. There’s a similar feeling of encroaching darkness on Oblivion, the newest release from the Hamilton raised Munroe. 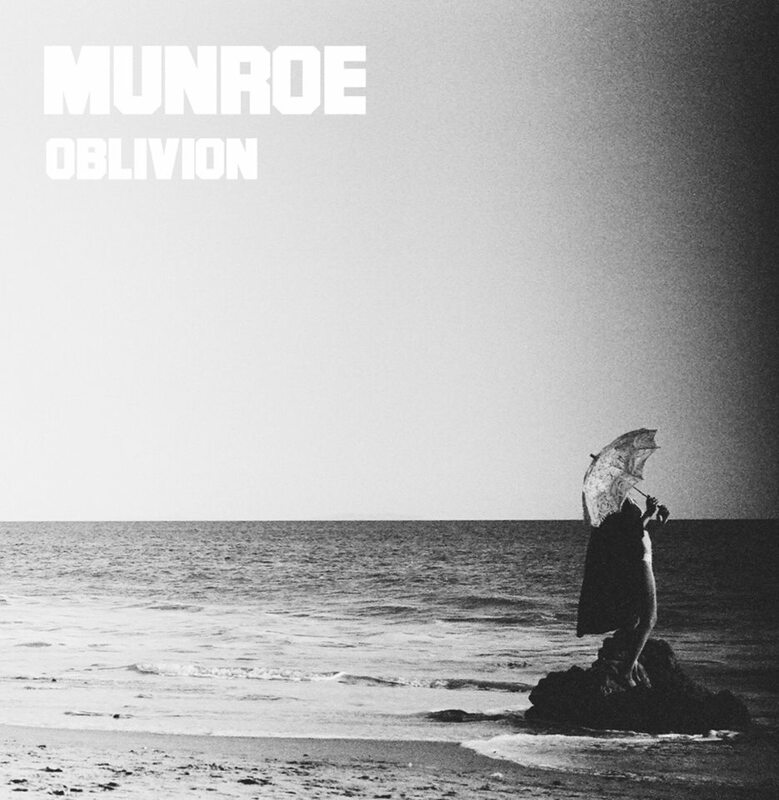 Through slow and delicate guitar and piano, Munroe creates a truly cinematic mood. The patient “Fake Out” is like a barrier built up against the rest of the world, all those “on the outside coming in.” Leading into the title track, which has the best of the very good string arrangements on this album, it’s a song for a doomed love, upon which the curtains have already closed. Munroe describes this song as being a confession, and it feels as if it’s pleading not so much for forgiveness as just understanding, from someone who’s already passed over the horizon into darkness. Elsewhere, the backwards-looking feeling continues on “Your Pages”, which might be the soundtrack to leafing through old diaries or photo albums. “The Witness” stands out as actually being slightly dancey. “Ever Be” is an intensely devotional song, about sticking together even after everything else is gone. And the album ends on the defeated sounding “Bad Company”, which looks into the void and tries to raise the dead, who seems so close, and yet so far away. Erik lives in Toronto and has a job where he gets to listen to music most of the day, for which he should be more grateful. He's a songwriter who once performed in full make-up and costume as The Lizard from Spiderman. If you see him at a show, he might be the only one dancing, or the only one not. It depends how he's feeling, you know?